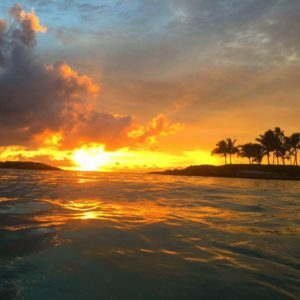 An 808 favorite has finally made it to the 702, and Ninth Islander’s rejoice! 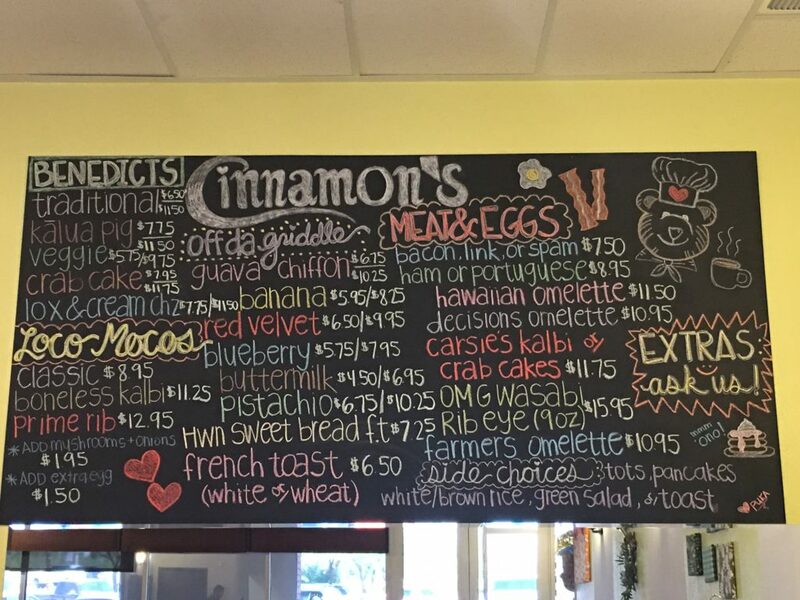 My first trip to Cinnamon’s Restaurant was the original Kailua location on Oahu. After a beautiful drive across the island, we enjoyed the famous Guava Chiffon Pancakes, a Macadamia Cinnamon Roll, and a few of their delicious benedicts. 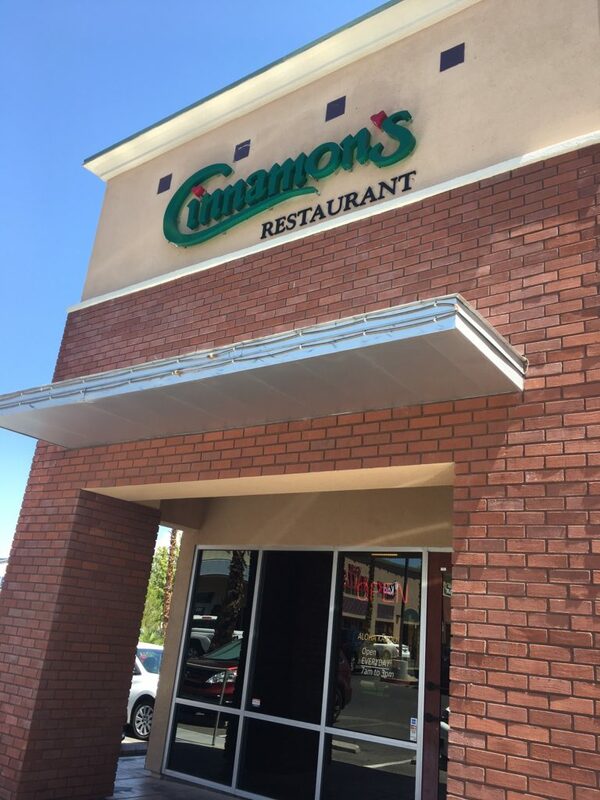 I was thrilled when I heard the news Cinnamon’s was opening a Las Vegas location, even more so when I found out it was going to be fairly close to my part of the valley. Researching for an upcoming trip to Kauai had gotten me in the Aloha Spirit, so the IG husband and I decided to check it out for Sunday Brunch. I went with a half portion of the Kalua Pig Benedict, with kimchi fried rice, IG husband went with Kalbi Loco Moco, and we split a short stack of Pistachio Pancakes, I loved the Guava Chiffon, but since the pistachio are exclusive to Las Vegas, I knew I had to try them! 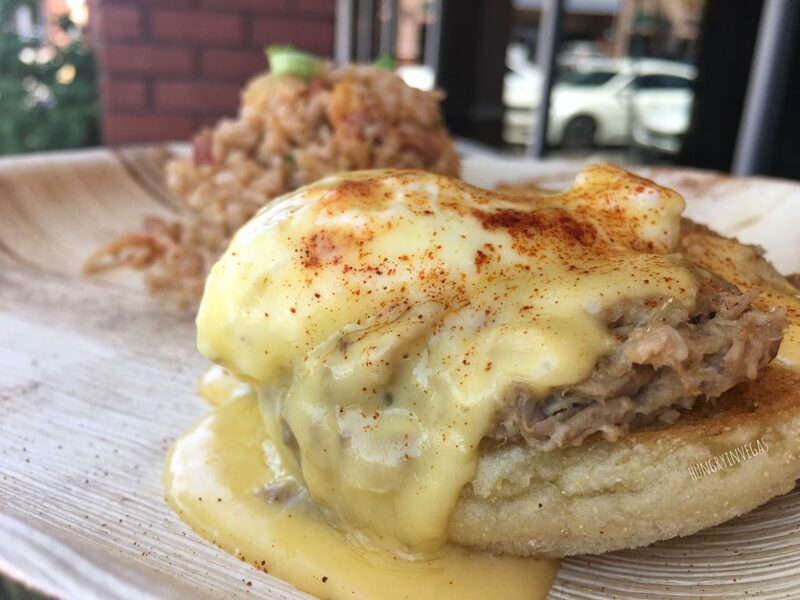 My Kalua Pig Benedict was delicious! 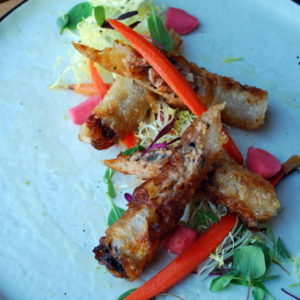 When I tried this one originally in Hawaii, the pork was just a tad on the salty side to me, but it was a little tamed down this time, and the balance of flavors was perfect. The kimchi rice had great flavor and didn’t skimp on the kimchi. The Kalbi Loco Moco was served with a scoop of mac salad, and my husband went with white rice instead of kimchi. 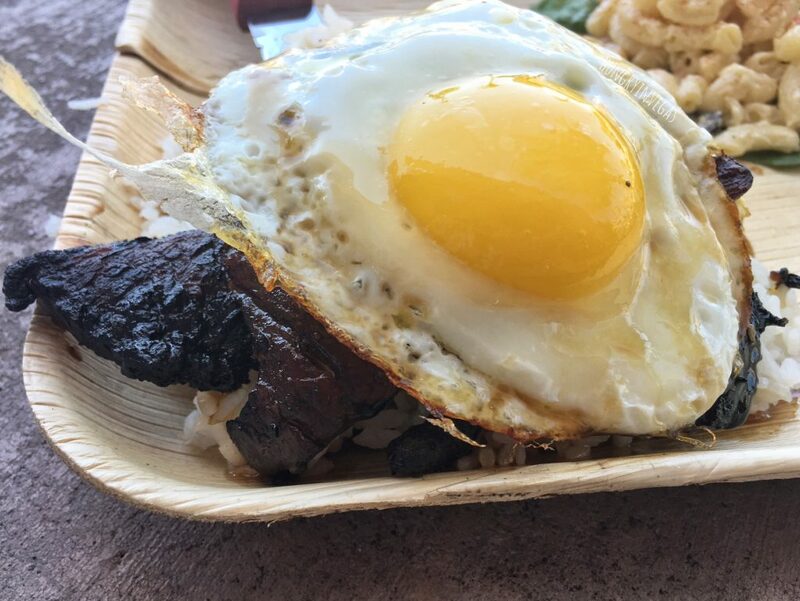 The kalbi (boneless short rib) was tender and delicious – he denied me of a beautiful egg yolk-poke opportunity, but I forgave him after he let me snag a few bites of this dish! 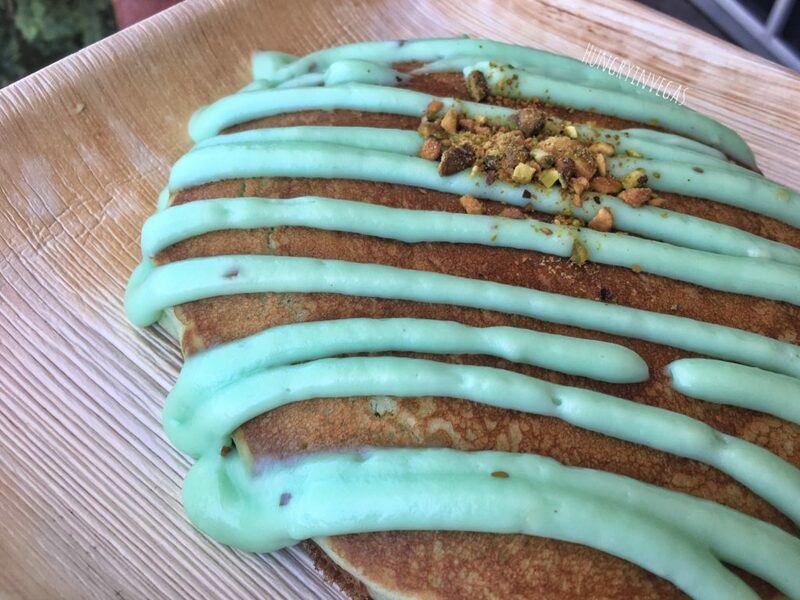 The Pistachio Pancakes were just what we needed to balance out all the delicious savory flavors of our other dishes. These pancakes were super fluffy and the pistachio cream sauce was out of this world. Finely chopped pistachios were sprinkled on top for a little bit of crunch. This short stack of 2 pancakes was very generous, and even though we split the short stack, there were still a few bites left on the plate they were so filling! 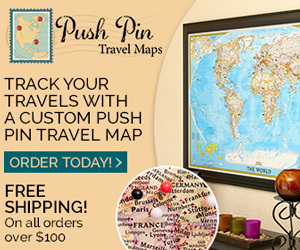 Pin for later, sharing is caring! 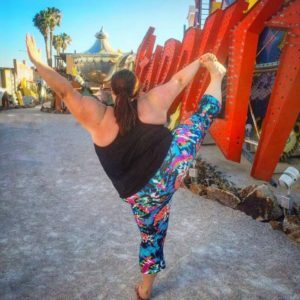 Tag me in your Instagram pics @hungryinvegas! Don’t forget to snag a few cans of POG, or pick up some of their coffee as you check out! The bag of Kona I bought smells amazing and I can barely wait to get through my stash of Leoda’s (from Maui) to try it next! 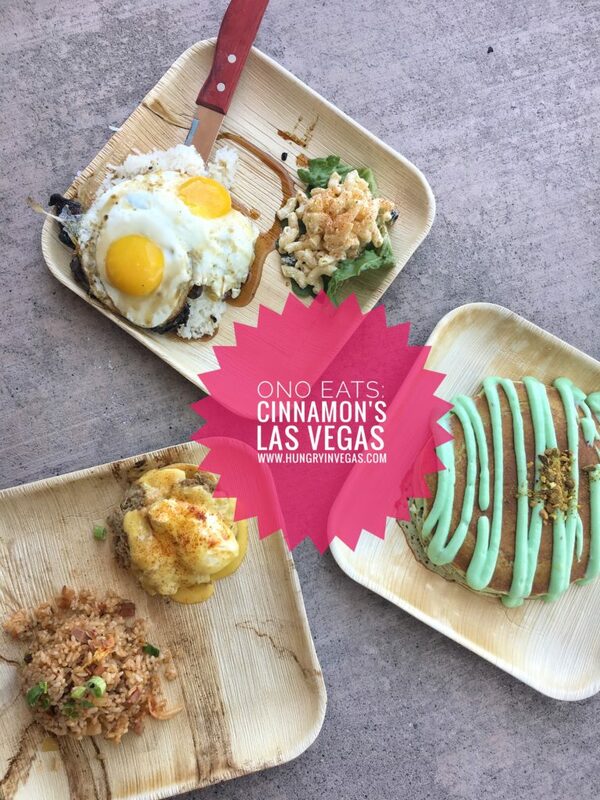 Cinnamon’s Las Vegas is a great breakfast or brunch spot, with super ono food, served up with Aloha spirit at no extra charge.